We’ve played soccer, we’ve played netball and now it’s time for Touch Football. We would love to have you join us on Friday 5 June. 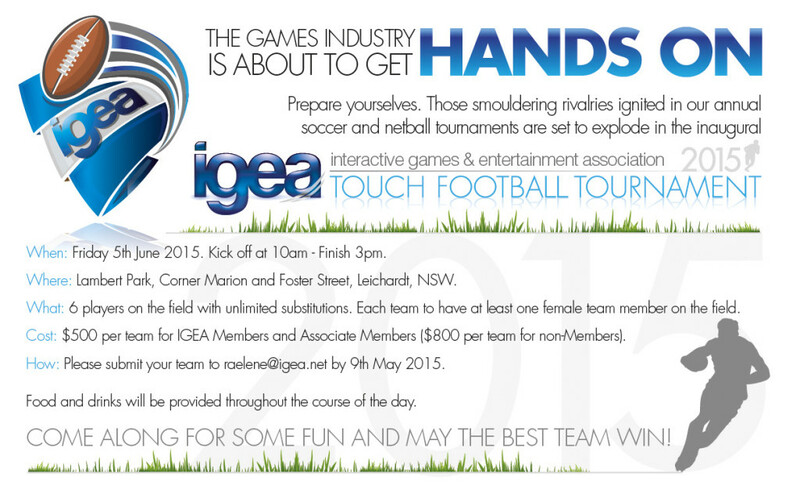 Check out the invitation below or contact raelene@igea.net for more information.